To discuss the findings and recommendations from the President’s Commission on Combating Drug Addiction and the Opioid Crisis. 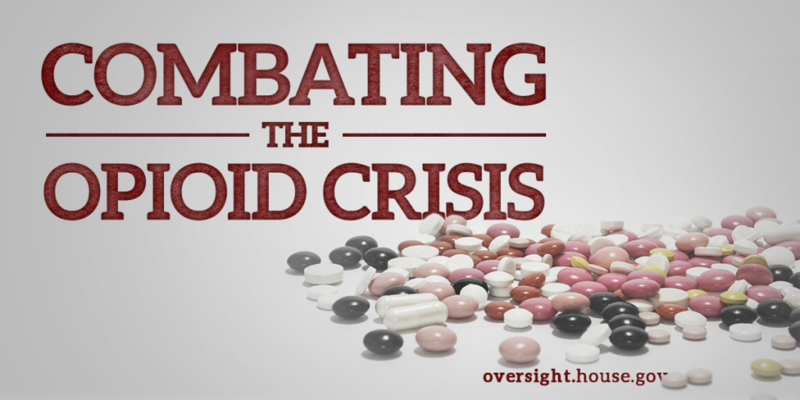 To review the City of Baltimore’s efforts to address the opioid epidemic in their community. Over the past 20 years, opioid-related overdose deaths have quadrupled as the quantity of opioids prescribed has risen. In 2015, more than 50,000 Americans died as a result of heroin and prescription opioid drug overdose. On October 26, 2017, the Acting Secretary for the Health and Human Services Department declared a public health emergency to address the national opioid crisis. On March 29, 2017, the President signed an Executive Order establishing the Commission on Combating Drug Addiction and the Opioid Crisis. The Commission released its final recommendations on November 1, 2017. On July 26, 2017, the Committee held a hearing examining options for reauthorizing the Office of National Drug Control Policy (ONDCP) and its effort to coordinate drug control policy and spending across the federal government.